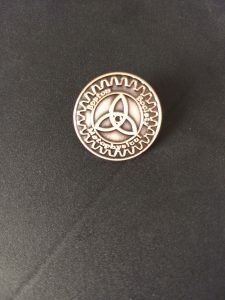 Looking for some Steampunk Swag? 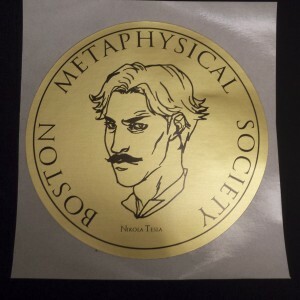 Then Boston Metaphysical has what you’re looking for. 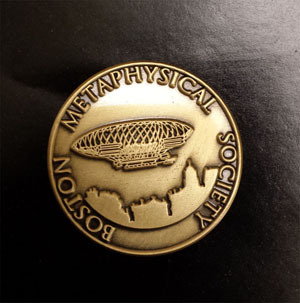 This beautifully made lapel pin is Die Cast in Antique Bronze and is 1 inch in diameter with standard military clasp on back. Designed by William Meahan. 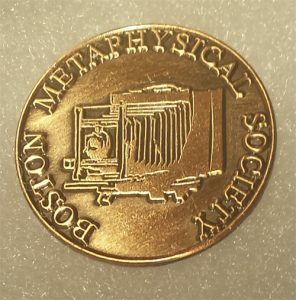 This beautifully made lapel pin is Die Cast in Antique Brass and is 1 inch in diameter with standard military clasp on back. Designed by William Meahan. 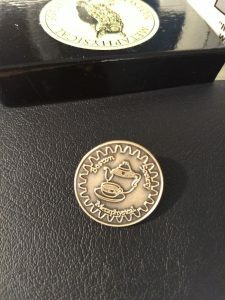 This beautifully made lapel pin is Die Cast in Antique Brass and is 1 inch in diameter with standard military clasp on back. 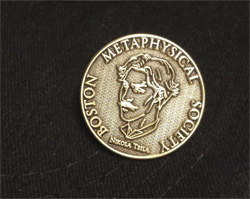 Designed by William Meahan incorporating Tesla portrait by Emily Hu. Portrait used with permission. This beautifully made lapel pin is Die Cast in Antique Copper and is 1 inch in diameter with standard military clasp on back. Designed by William Meahan. 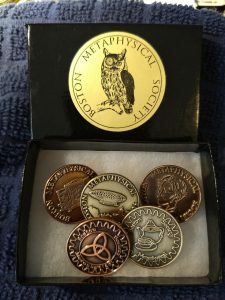 This five pin set features the Triquetra (antique copper), Antique Camera (antique copper), Nikola Tesla (antique bronze), Dirigible (antique bronze) and Teapot pin (antique bronze). All pins are one inch in diameter, have a military style clasp in the back, and come in a lovely gift box. If you’d like to mix and match, contact me at bostonmetaphysical@gmail.com and I can arrange for that. Designed by William Meahan incorporating Tesla portrait by Emily Hu. Portrait used with permission. All Pins/Stickers: Trajanus Roman font by Roger White. Public Domain.